DRS is an Authorized Digitech Reseller. Digitech Solutions allow for fast accurate image and data capture, routing, and archiving. 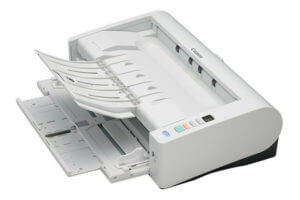 Digitech’s PaperVision platform integrates with all of today’s advanced scanners. Desktop access to corporate data. Seamless integration with virtually any line of business application. Maintains compliance with HIPAA and other regulatory guidelines by giving auditors, administrators and directors documented evidence of internal controls that communicate, store, and protect documents. Unalterable logs or databases of who has accessed which pieces of information, where and when. Unlimited scalability allows businesses to run the application on a single desktop computer or thousands of computers within a worldwide organization. Maximum control over corporate information by utilizing extensive security level options for groups and individuals, which incorporate project access, document-level filtering and specific functional limitations.